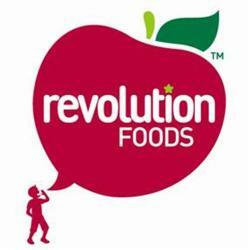 New LA Charter School is proud to partner with Revolution Foods to provide our students with healthy breakfast and lunch. Revolution Foods delivers tasty and healthy meals and nutrition education to schools and programs across the country. Every child’s education should include healthy eating and learning about nutritious food. Rev Foods’ meals are healthy, tasty, home-made, and affordable. The menu creation process involves close collaboration with New LA Charter School, including feedback from the students. Appealing and Delicious: We want students to eat our food and to try new things. That’s why we focus on making our meals tasty, fun and interactive. Variety: We think it’s important to eat a variety of foods – a balance of lean protein, whole grains, healthy fats, fresh vegetables, fresh fruits, and calcium/dairy. Natural and real: Natural to us means using real food, cooking with few ingredients, and making sure the ingredients we use are recognizable and not artificial. Home-style: We believe in eating foods that are close to their original state and avoiding unhealthily processed foods. Right-size, not super size: We offer age-appropriate portion sizes to support kids to maintain and grow into a healthy weight. Balance: We believe that to combat obesity, students should eat a balanced diet of fresh, whole foods that taste delicious and satisfy kids’ hunger so they aren’t forced to fill up with unhealthy snacks and junk food. NO rBST or hormones in milk and dairy. NO fried food. Our food is prepared fresh daily; we do not serve fried, unhealthily processed, or microwaved food. We do not even allow “flash-fried” products in our meals. NO high fructose corn syrup, ever. NO artificial trans fats, ever. All ingredients meet Whole Foods Market’s stringent quality standards. Only non-flavored milk, and all our milk is 1% or nonfat. Foods with little or no added sugar. No more than 30% of calories from total fat and no more than 10% of calories from saturated fats in an average meal. All baked goods (tortillas, breads) contain whole grains. A variety of vegetables, including dark green and orange vegetables, throughout the week. No juice with our lunches. A variety of fresh fruits over the course of a week, and no canned fruit. Low-fat dairy products in meals.